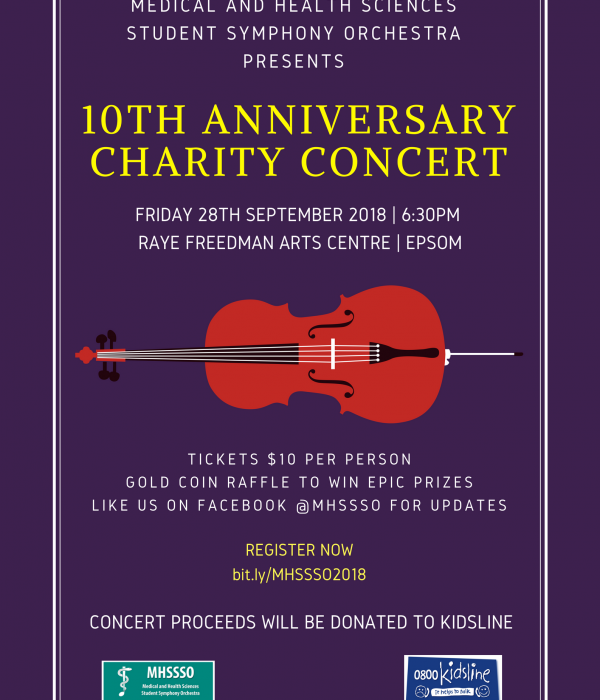 It’s the MHSSSO’s 10th year Anniversary and we invite you all to celebrate with us on a musical Friday evening at our annual charity concert! We will also be featuring a number of small guest performances from various music groups in the community so it will be a night for everyone! This year, we will be proudly donating our proceeds from the concert to Kidsline NZ – a helpline that brings support to young kiwis in need. Tickets go on sale soon so watch this space!